Wadi Rum landscapes are world famous, particularly the aerial shots, made famous through several films. They are described as being reminiscent of Mars, the Moon or other fantasy world imagery. 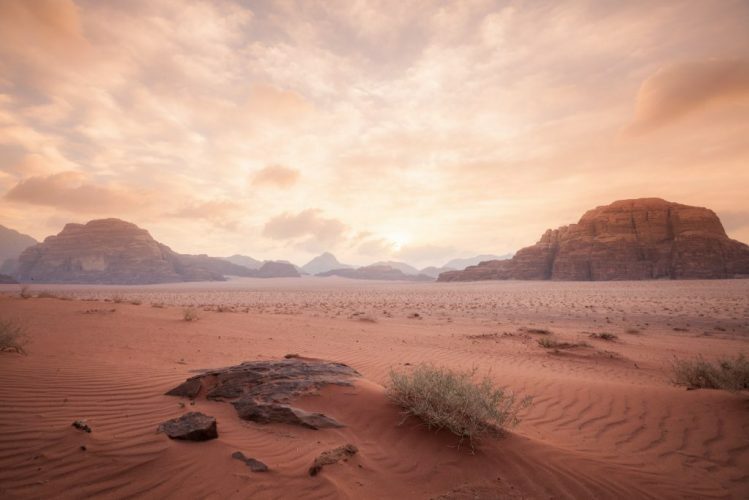 Wadi Rum offers balloon tours to visitors allowing them to drift over the desert and see the breathtaking landscapes. The Balloon Tours leave at sunrise to take advantage of the calm winds and pleasant temperatures in combination with the photogenic lighting. 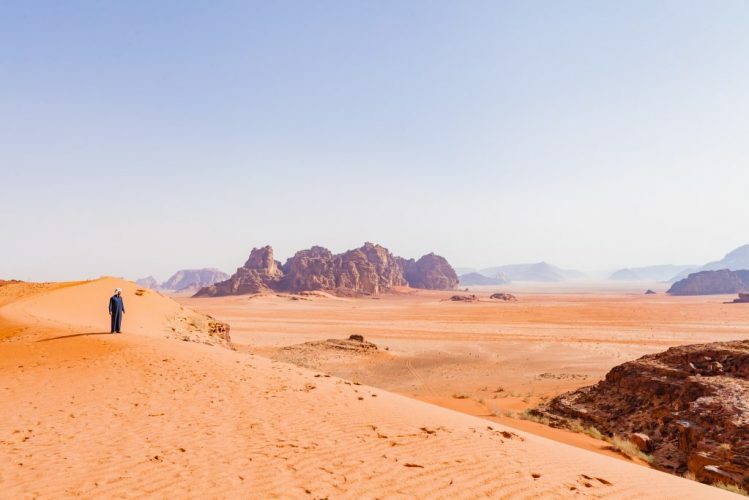 Ballooning over Wadi Rum provides such a unique point of view of the vastness and otherworldly landscapes of Wadi Rum that it is number 4 on our list of best things to do in Wadi Rum! Balloon trips depart each morning at sunrise from the launchsite, as such guests must overnight the previous night in the camp and depart in the early hours of morning to reach the launch site in time for sunrise. The balloon tours last approximately 2 hours depending on the speed of the wind and guests will return to the camp or be ready for other activities by late morning. While most activities can be arranged at short notice, there are very finite places available for ballooning with only 1 flight per day which requires approval from the aviation authority before take off. As a result in Spring and Autumn flights are regularly fully booked a month in advance and around specific holidays can be fully booked several months in advance. To avoid disappointment please reserve this activity as far in advance as possible.